In this blog entry, I am creating a new zone in the DNS namely dev.com. Below steps will help you in that. 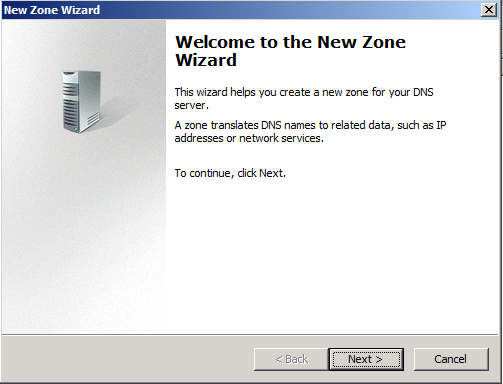 3) The New Zone wizard opens and click Next. 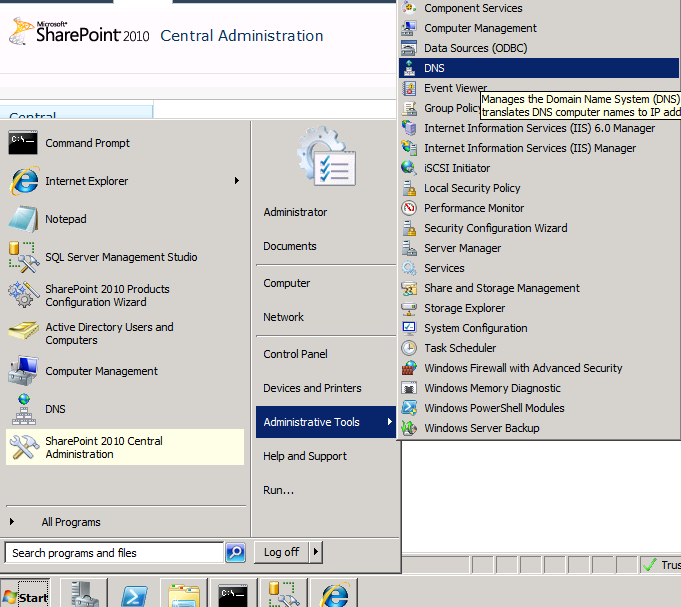 4) Select Primary zone and click Next. 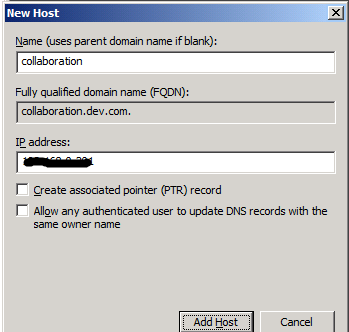 5) Select To all DNS servers running on domain controllers in this domain : DEV.NET and click Next. 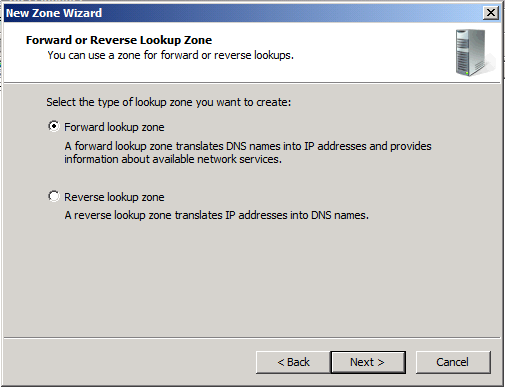 6) Create a Forward lookup zone and click Next. 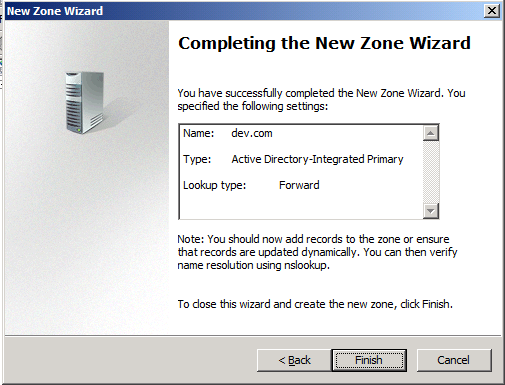 7) Give the zone name as dev.com. Click Next. 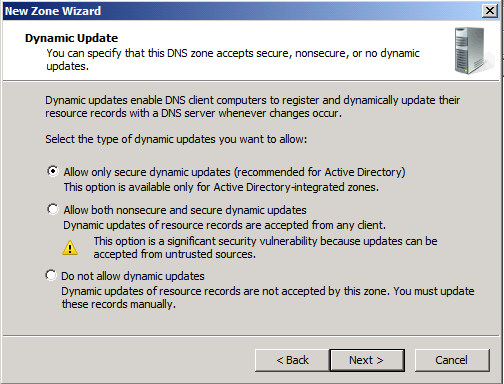 8) Select Allow only secure dynamic updates and click Next. 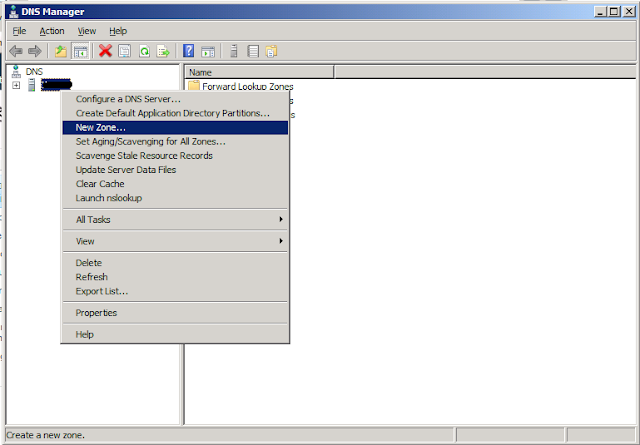 9) Click Finish on zone creation completion. 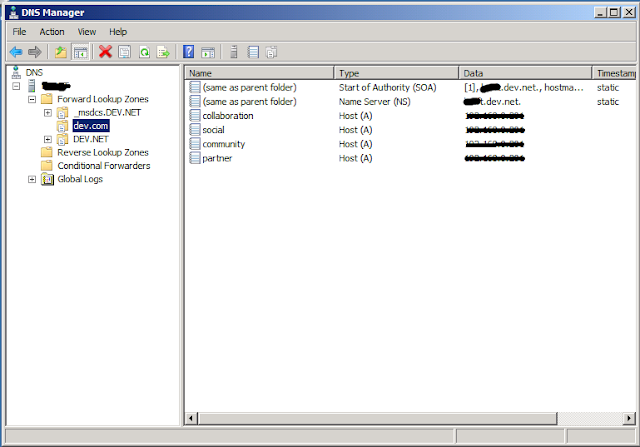 10) Creation of a new host is the next step.Right click on the newly created zone and select New Host(A or AAAA). 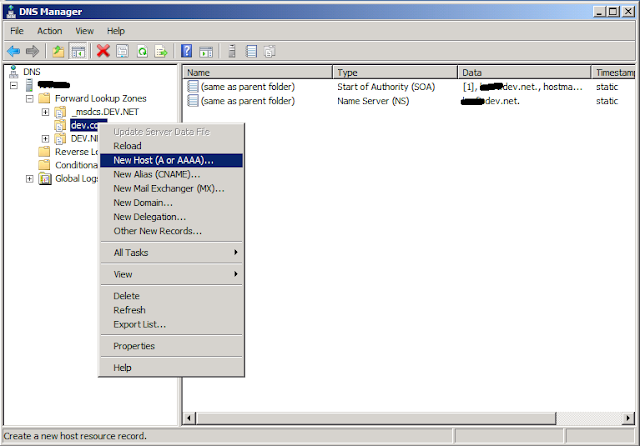 11) Enter the Host name and IP address and click Add Host. 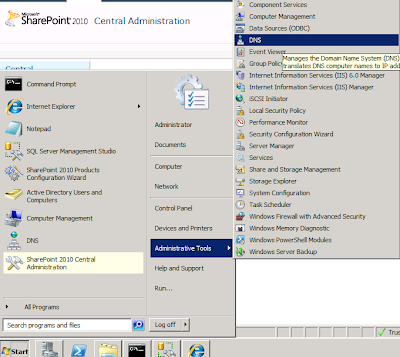 12) Host creation successful message is shown. 14) The following screen shows the four host records.